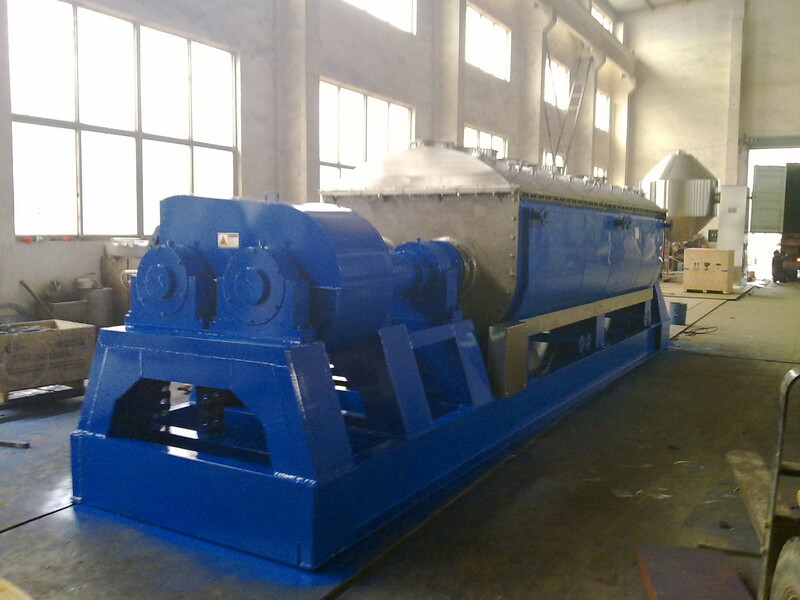 -Blade dryer is low speed churned drier that equipped oars inside equipment. The damp raw material is churned to fully connect with hot carry and surface, its structure can be horizontal, double scrolls of force scrolls . -There are hot air style and transfer style two styles. The drying in hot air style is completed through connection of hot air and material. In transfer style, material is connected with hot surface to drying, it can prevent pollution of material. The air outlet is few, efficiency is high, small size, save energy and prevent pollution of air. -Compact structure, small volume, coefficient of thermal conductivity is high, best heat effect. In general heat effect attains to 80%-90%,it is kind of device with saving energy. -Low revolution, it is difficult to break into shaping of granule and slice raw material. -To raw material, wide use, easy to operate and raw material is adjustable from few minutes to few hours. -The auxiliary equipment is simple, so that it can save lots of cost. It is suitable for drying in plastic, resin, inorganic compounds machine, fertilizer, feed, dyestuff, starch, mud and so on. 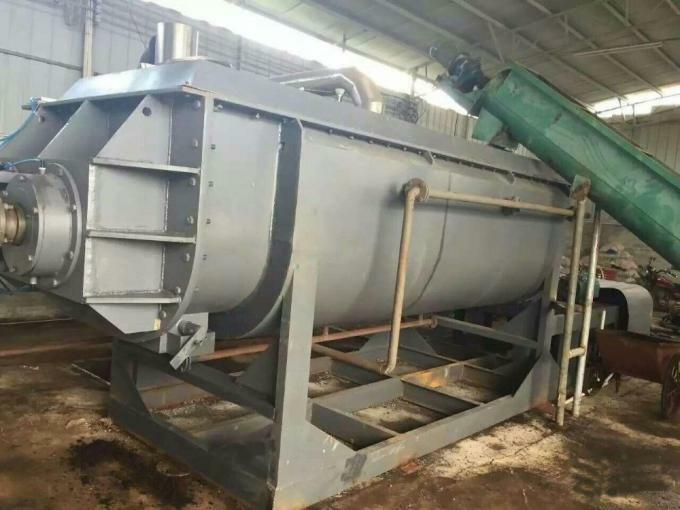 ◆ QJ Series Hollow Blade Dryer( Hollow impeller Dryer)(Hollow Paddle Dryer) is Applicable for drying or cooling of paste, particle, powder and slurry state of material, perform the process of drying, cooling, heating, sterilizing, reacting and combustion under low temperature. The special stirring and heating transferring blade, makes high heat transferring efficiency, and provide self-cleaning function. The special chock shaped stirring and heat transferring blade has high heating efficiency and self-cleaning function of the heating transferring surface. Hollow chock shaped blades are concentrated on the hollow shaft. Heat media flow through the blade from the hollow shaft. The heat transferring area in the effective volume is very high. The temperature range of heating media is -40 ℃ to 320 ℃ . 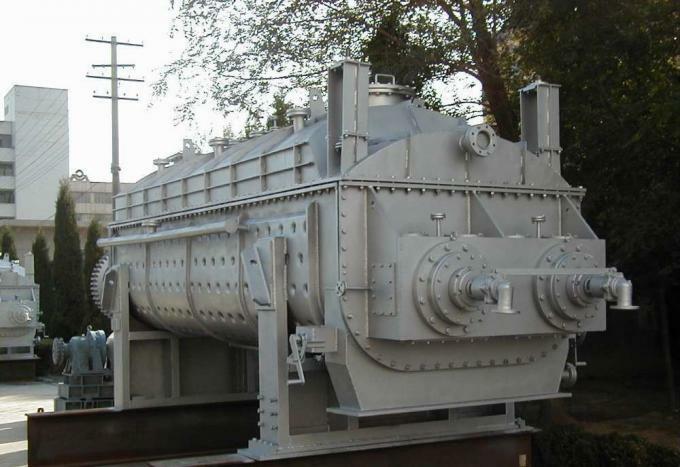 It might be steam, or liquid state, such as steam, thermal oil etc. Indirect heating, there's no heat being carrying out by air. All heat is utilized for to drying the material except the lost of heat insulation layers. The surface of chock shaped blade has self-cleaning function. The relative movements of the product particles and the chocked shaped surface might clean the material attached to the chock shaped surface, so to keep the cleanliness of heat transferring surface during working. 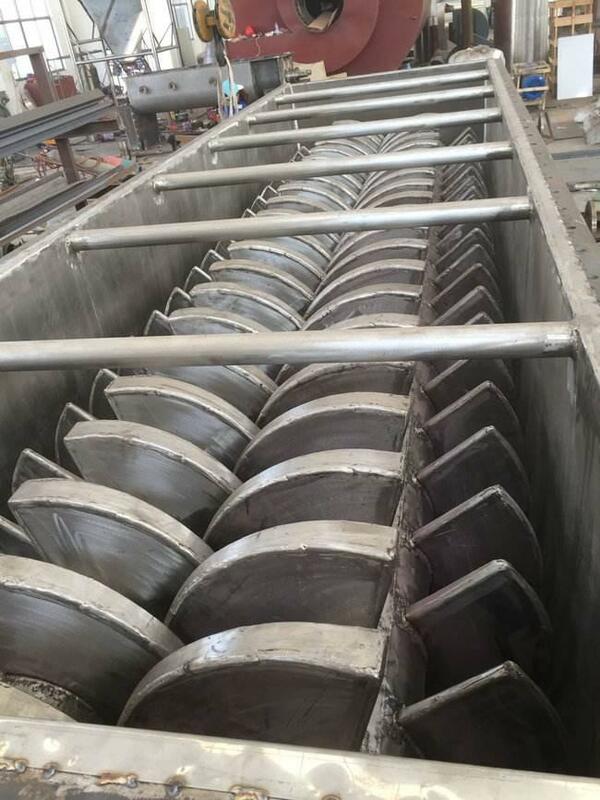 The shell of hollow blade dryer is Ω shape. 2 or 4 pieces of hollow stirring shaft are usually equipped in the shell. To avoid any leakage of material, there're sealed terminal cover and top cover with the shell. The heat transferring media flow through the rotation connector, jacket's shell and hollow stirring shaft. To ensure best transferring effect, the hollow stirring shaft adopts different interior structure in accordance with different heating media. China Good Quality Spray Drying Machine Supplier. Copyright © 2017 - 2019 spray-dryingmachine.com. All Rights Reserved.